The surgical robot is well suited for the reconstruction of the ureteropelvic junction and is a good procedure for the novice robotic surgeon to attempt. The presence of a crossing vessel is not a contraindication for laparoscopic- or robotic-assisted pyeloplasty. 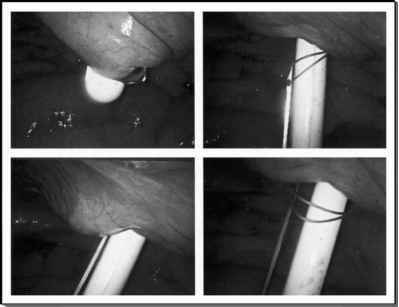 Several experiences with robot-assisted laparoscopic pyeloplasty have demonstrated the feasibility of this technique in providing improved surgical dexterity. Although the learning curve for the surgeon may be short (in our experience less than 10 cases), there is a substantial learning curve for the ancillary staff. Many hours of in-servicing may be required, and consistency in the assignment of staff to da Vinci robot cases allows for a smooth transition between cases. The novice robotic surgeon is likely to find the robotic-assisted pyeloplasty to be a good introduction to the robotic surgical system.